Favorite place to eat in NYC. Great Chicken scallopini and cannolis to die for. Can you tell I’m gearing up for a trip to NYC? Can’t say when I’m going, but I’m going. And I’m gonna eat here. FER SURE! 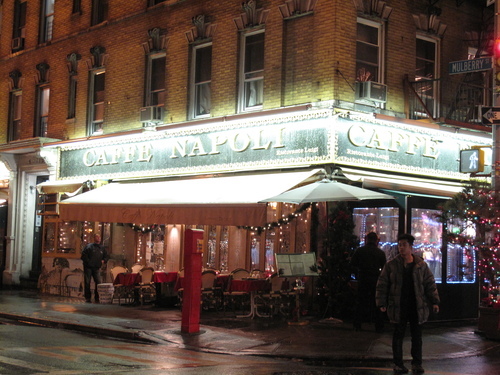 It is in Little Italy. Highly recommended. I even used it in one of my books.